The Blog Best Apple WiFi Router for a Home Network? What’s the best Apple WiFi router for my home network? I get asked this question from my customers all the time. 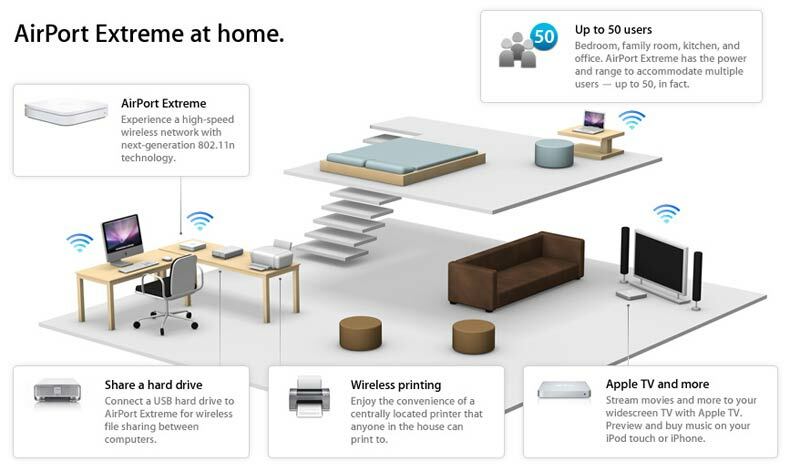 Apple currently offers three wireless/WiFi routers: AirPort Extreme, AirPort Time Capsule and AirPort Express. Below is a breakdown of the purposes of each router and my typical recommendation, the Time Capsule. The AirPort Extreme is an excellent wireless router that is best for creating a simple and reliable WiFi home network. It has all the latest WiFi standards (b/g/n/ac) to support a wide range of wireless devices, not just Apple products. The Airport Extreme has dual band wireless broadcasting which is the ability to use two WiFi frequencies simultaneously – 2.4GHz frequency has longer range, while 5GHz frequency has higher speed. Also noteworthy is the ability to create a guest network so that your guests can access the Internet through your Apple WiFi router but without access to your personal data. Another great feature is parental controls. You can limit your child’s Internet usage and prevent visits to inappropriate websites. The number one selling point for the Airport Extreme is its ease of use and reliability. You can set up an AirPort Extreme in minutes with a Mac computer, iPhone or iPad and never worry about it again. The Time Capsule is the best Apple WiFi router choice for most Mac users. It has all the great features of an AirPort Extreme with the addition of a high capacity hard drive (available in 2TB or 3TB configuration). This built-in hard drive flawlessly integrates with Time Machine software to automatically store backups of the data on your Mac computers. I can’t emphasize enough the importance of backing up your data. Many customers bring their Macs to me with a failed hard drive and no backup to speak of. Don’t wait until it’s too late. 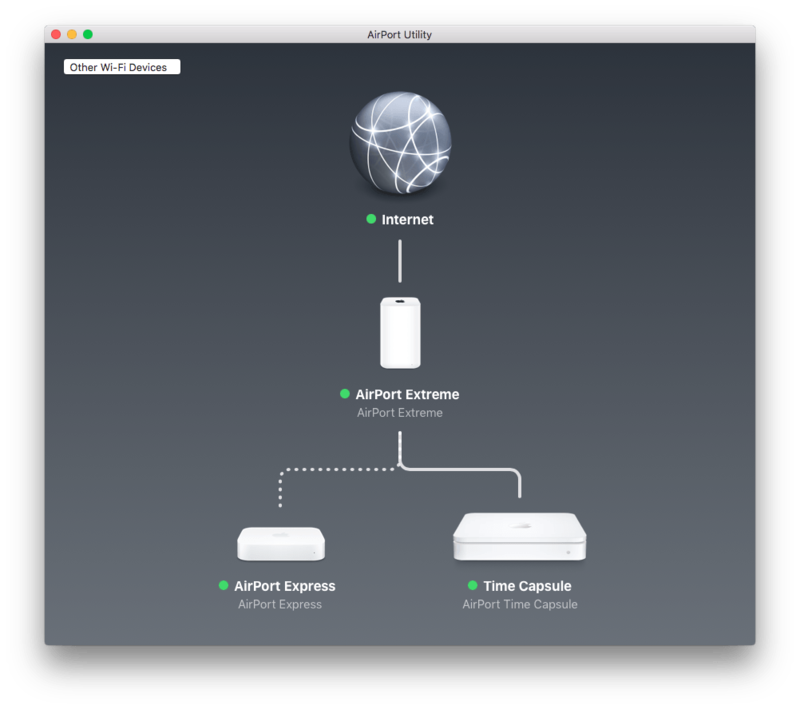 The AirPort Express is best used as a wireless accessory to the Time Capsule or AirPort Extreme. It can work as a router for a small space like an apartment with a limited number of WiFi devices. When first introduced, people were amazed at the ability to hook the Airport Express to a set of speakers and stream music wirelessly. You can also share a USB printer wirelessly in your network with it. Many also use the AirPort Express for WiFi network range extension. In my experience, 2000+ square foot households benefit from adding an AirPort Express to their existing Apple WiFi router to extend the range of the wireless signal and avoid dead zones. Choose the AirPort router that best suits your WiFi needs. If you have a complex wireless setup and would like assistance with your home network, please contact me for an on-site consultation in the Twin Cities area.